There’s no shortage of advice out there on how to go about it. Our own blog shares detailed guides about the basics of keyword use and how to conduct keyword research, potential mistakes in keyword use, including keyword use that can hurt your website. Almost all of this advice revolves around generating traffic – and that’s an excellent first step. But if you value customers and revenue over simply growing your pageviews – there’s something else that you need to understand when planning out your keyword strategy. And for some reason, it doesn’t get discussed much. Take a moment to think about what your site’s visitors are searching to begin with? And why are they searching that specific term? Keyword intent is the idea that the way that someone performs a search can be telling in terms of where they’re at in the sales process. Not all keywords are equal – even if you meticulously do your homework and are targeting those with the best traffic to competition ratios. Even if you end up with 2 otherwise equal keywords driving an equal amount of traffic – one may deliver many more customers than the other. You may think your keyword research has turned up the perfect keyword for your brand, but are you targeting people who are ready to buy, or who will just drag their feet? This distinction is important, but hard to see with the untrained eye. Why use keywords with intent? Besides knowing where someone’s at in the sales process, using keywords with intent is useful as a way to prequalify prospects before they click through to your website. Done correctly, it narrows the focus of your web traffic to only those that are likely to convert based on the content you’ve optimized for intent. It’s important to keep in mind that traffic alone doesn’t guarantee a sale, no matter how much you’re getting. It’s much more useful to drive a lower quantity of highly qualified searchers to a website. Think about it this way – it’s easier to convert someone into an email subscriber or even a sale when you give them exactly what they’re looking for, and they’re in the right stage of the sales cycle. It’s simple: when you have more (qualified) leads, you’ll get more sales. Therefore, it makes sense to look at the different types of user search intent, and how to create content for those different categories. What is the goal of a user’s search? Before getting too specific, let’s take a look at different types of searches around the same subject: in this case, dogs. 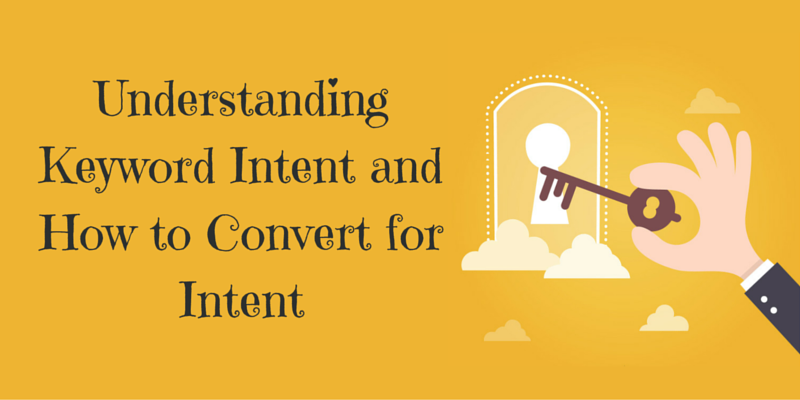 keyword intent and how to convert for intent. “Dog” on its own is too broad and will pull up millions upon millions of search results with no clear organization. It’s never a good idea to be too broad on search – there’s simply too much competition and it will be impossible to show up on search results. “How to pick a dog breed” is an informational search. Although the searcher is seeking practical knowledge, there may be some indicators of interest in a sale. Dog breeders or adoption centers may create content to answer this question, then lead the prospect towards a webpage with their currently available dogs. 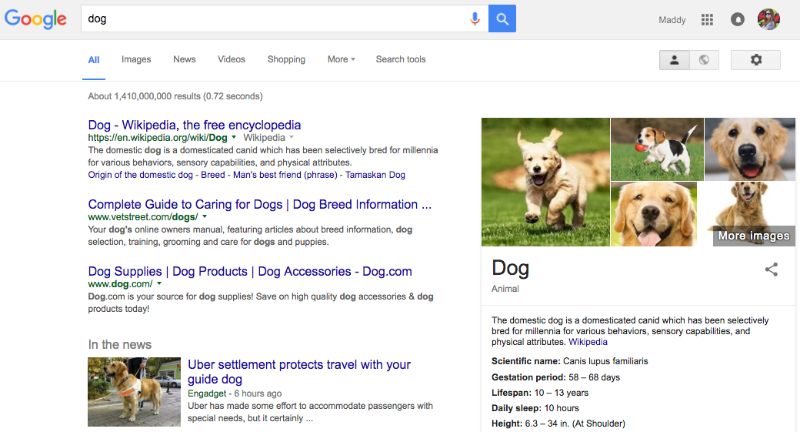 “Where to buy/adopt a dog” is a transactional search. This person has already gone through different considerations steps and is ready to make a purchase. Again, dog breeders and adoption centers would want to build keywords like these into their sales pages. Now that you’ve had a chance to see how being specific can be beneficial, let’s take a closer look at the different types of search intent. There are three main categories of search intent. It’s unlikely that you’ll convert someone who’s using navigational keywords, so don’t focus too much effort on trying to optimize for navigational intent. Searchers using keywords with informational intent want to find the answer to a question or learn something. As a general rule, anything with “how to” as part of the search query would likely fall under the scope of a keyword with informational intent. Though keywords with informational intent don’t usually convert immediately, you can’t ignore them completely. A person looking for something with informational intent is likely in an early part of the sales process, but you may be able to convert them with a little effort! More on that to come. Notice that many of the aforementioned keywords have an element of pricing to them. These are signals from buyer to seller that the seller is ready to make a purchase. At this point, most people know more or less what they want, they just want to make sure they’re getting a fair deal. Even within this category, there are still various levels of intent, and you have to consider low intent versus high intent. At this part of the process, there may still be an opportunity to convert someone from one product in a category to another. These searchers have already made up their mind and are just looking for additional incentives to complement a purchase. Keep in mind for service industries, “buy” may not be the keyword that your customer is using – something like “get a quote” may be a better fit. These searchers will likely convert, but can be swayed from one category to another. It also represents more consideration and indefiniteness than high-intent keywords. Quicksprout describes a useful process for finding keywords with high commercial intent. Use Google Keyword Planner and look for keywords that have high competition and a high cost per click. Another way to find a useful keyword is by typing it into Google and seeing if there are a lot of ads above the fold and on the sidebar. If you don’t see many ads, that’s a red flag that your phrase doesn’t have enough commercial intent. Even if you don’t use PPC advertising, it’s a good indication that your phrase is valuable in terms of customer acquisition! Tire kickers are not likely to convert now, or anytime in the near future, so don’t cater to them! Now that you have a basic understanding of using keywords for search intent, let’s talk a little bit about how to convert for intent once you’ve driven a qualified lead to your website. Ignoring navigational intent and the tire kickers, there are two main categories of keyword intent to make the most of for conversions: informational intent and transactional intent. Here are a couple ideas for involving searchers in the sales process with the eventual goal being to sell them a product or service. As you’ll recall from earlier in this article, optimizing for informational intent is unlikely to result in an immediate sale, but may be an important step for consideration during the sales process. At any rate, informational intent can’t be ignored – and it shouldn’t be! Converting for intent in this case won’t mean selling products or services, but instead getting a prospect on your email list. From there, you can put them through a lead nurturing sequence, including special promotions if it makes sense! 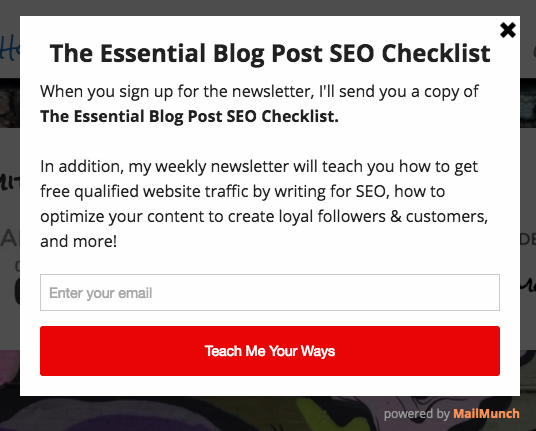 If you’ve written an excellent blog post, it could be just the tool you need to convert a visitor into an email subscriber. Content upgrades give readers a little something extra – maybe it’s an additional set of tips, a useful printable checklist, or an excel spreadsheet. It should be something that provides a use to someone, even after they’ve left your website. Gate this material by requiring an email address to access it. 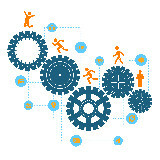 Along the same lines as content upgrades for email list conversion are lead magnets. Instead of focusing on one specific page or blog post, lead magnets are more general, but should still hold a draw to any of the qualified web traffic you’re driving to your website with keyword intent. A lead magnet might take the form of a whitepaper, ebook, or exclusive access to a series of useful how-to videos. Again, a lead magnet is gated content that requires an email address to access. Basically, if you’re optimizing for informational intent, get your prospect on your email list to build a relationship and slowly introduce them to the unique value your product or service offers. If you’re trying to convert a prospect who’s using keywords with transactional intent, you want to go for the sale right away, or as soon as it reasonably makes sense. Seemingly, the simplest way to do that is by having a specialized landing page. Match the landing page with what people expect to find based on their search. There’s nothing worse than going to a website that doesn’t make sense based on your search terms. People will leave right away, which can have a negative effect on SEO! If possible, make a landing page that doesn’t link out to anything else (besides a shopping cart to complete the sale!). Additional links distract and make it harder for a person to make a decision. Add credible testimonials to help establish trust. If your prospects are known to be especially price sensitive, offer them a small discount for signing up for your email list. As we’ve already seen, people who think they can get a better discount somewhere else might leave your website in search of that and you could lose the conversion. Unfortunately, landing pages can be hard for the average business person to configure on their own without a web developer and strong digital marketing know-how. There are some WordPress plugins, but the ones that are easiest to use come with an expensive monthly access fee. If you would rather design them, know that working with experts can get expensive. Take advantage of the attention you’ve already got, and increase your chances of conversion by making it easy for a customer to get in touch – without directing them to another page. It’s easy to insert a contact form using simple HTML, a code snippet from your email marketing platform (like Mailchimp), or a plugin if you’re using WordPress. Some prospects will prefer talking to emailing, especially if you’re selling a product that’s new or has a lot of moving parts. 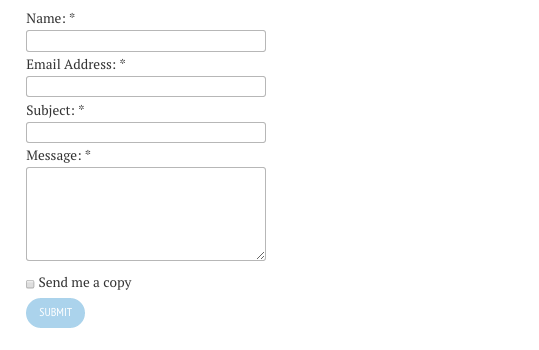 Make sure to include a phone number next to/on top of the contact form for people who prefer this contact method. It’s important to also have a separate contact page, but don’t expect this to convert as well as a form you embed on the page a prospect first lands on! If your product is complicated, include a basic FAQ on the page that prospects tend to land on. Again, you don’t necessarily want them to leave to a separate FAQ page if the page they’re on is the one that’s supposed to convert them. We’ve already talked about lead magnets and content upgrades, but it can also be insanely useful to use sidebars as a conversion tool. Design content and calls to action based on the different categories on your website that correspond to the searchers you’re trying to attract. Depending on your theme options and configurations, it can be easy to customize your sidebar to show or hide this opt-in content based on the category of the page you’re driving searchers to. 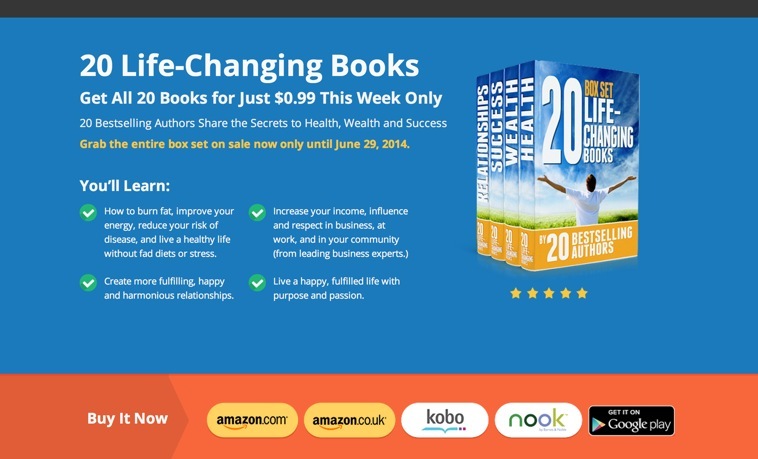 This helps you be less generic, and get more specific than a lead magnet. It’s more or less the same idea as content upgrades, but categorical instead of post by post or page by page. No, I’m not scolding you – merely asking you to be aware of the language you use to present your company and its products to potential customers. ConversionXL is an amazing resource that shares many useful posts about conversion, including an excellent article on 18 cognitive biases you can use for conversion optimization. Use the power of psychology to assist your chances of converting searches hand in hand with these other powerful techniques! As with anything in Digital Marketing, understanding keyword intent and how to convert for intent is one part art and one part science. It’s important to always be testing, and changing things regularly as trends and interests shift. 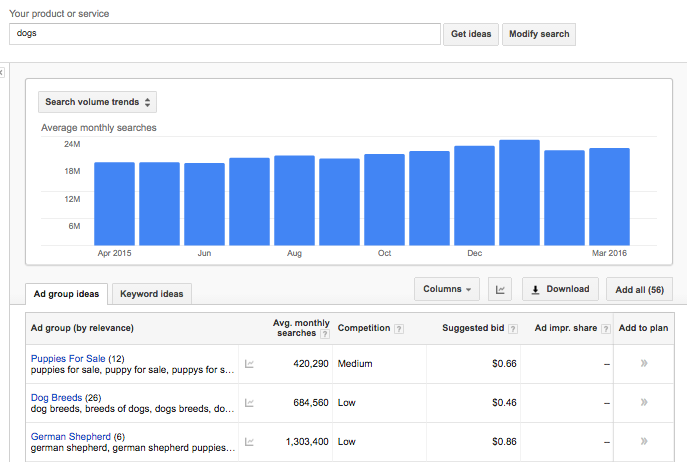 Has this article helped you with understanding keyword intent, and how to convert for intent? We’d love to hear your thoughts on the subject in the comments below! You’ve addressed a number of great points here, Maddy. And that includes optimizing for the wrong key words… because that happens a whole bunch. Savvy marketers optimize for certain keywords but their content fails to deliver on what the user was originally searching for. Thanks for stopping by and spreading the word, Brent! This is really important stuff, will share! Really great to help educate on the idea of contextual marketing and really getting into your prospective users’ head and what they would be searching. Some good pointers in here. I’m surprised more marketers aren’t talking about ‘keyword intent’. We tend to be so focused on targeting any keyword we don’t put ourselves in the shoes of where a potential customer is at in the sales pipeline. Good stuff!